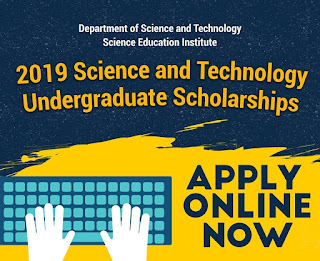 The Department of Science and Technology-Science Education Institute (DOST-SEI) revealed recent developments regarding its scholarship programs, which include an increase in the number of slots being offered and a higher monthly stipend rate for all its scholars. DOST Secretary Fortunato de la Peña and DOST-SEI Director Josette Biyo made the announcement in a press conference held last July 18 at the Philippine International Convention Center in Manila. The event coincides with the celebration of the 2018 National Science and Technology Week (NSTW), which Biyo considers an opportune time to drum up the public’s interest in DOST’s scholarship program. DOST-SEI recently posted the names of 8,994 new qualifiers for its undergraduate scholarships, the biggest batch since the program started in 1958. Biyo hopes to further increase the number of scholars being supported in by DOST-SEI from 20,618 in 2016 to a target number of 33,256 scholars for 2019. Scholars will also benefit from the increased monthly stipend of 7,000 pesos per month from the previous amounts of 5,000 to 6,000 pesos. This is in addition to the 40,000 pesos per year tuition and other school fees subsidy, 10,000 pesos per year book allowance, one-time 1,000-peso uniform allowance; one-time 1,000-peso graduation allowance, one economy-class round trip fare per year for those studying outside their home province, and group insurance. 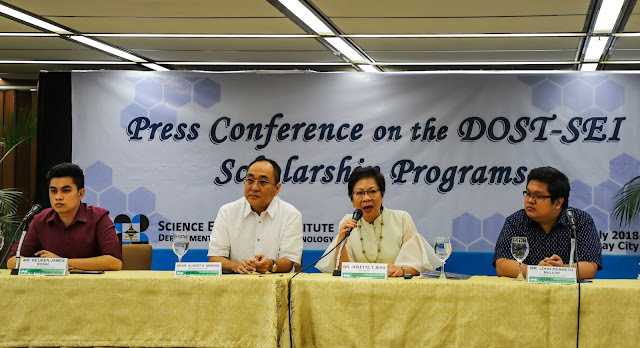 “Through the new benefits in our scholarship program, we hope to get more scholars and graduates who will eventually work in S&T for the country,” de la Peña said. Biyo acknowledged top scholar-graduates, Ruben James Rosal and John Kenneth Malilay, who joined the panel to share their experiences as DOST scholars. “The testimonies of our scholars are always the best proof of the effectiveness of our programs,” she said. 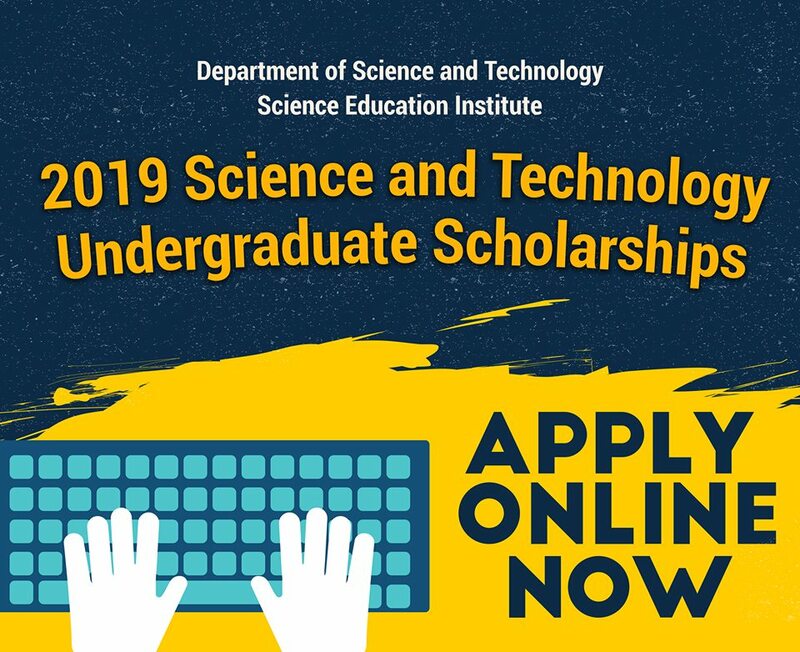 Interested Grade 12 students are encouraged to submit their applications for the 2019 DOST-SEI Undergraduate Science and Technology Scholarship until August 31, 2018. Examination will be on October 21, 2018. Incoming 3rd year college students taking identified S&T programs are likewise invited to apply in the Junior Level Science Scholarship (JLSS) program. JLSS application ends on September 14, 2018. Examination is scheduled on October 20, 2018. For details, you may log on to www.sei.dost.gov.ph or email seischolarships@gmail.com.